A properly segmented customer base is key in running effective marketing campaigns online. Marketing Automation systems, such as iPresso, allow marketers to precisely segment customers on the basis of their demographics and behavioural traits. Segmentation of a contact base consists in distinguishing various groups of contacts on the basis of their traits and behaviors. On the basic level, such a segmentation may be carried out in customer relationship management systems, which are usually able to discern segments of contacts by their demographics such as age or city. Marketing Automation systems have much more advanced capabilities in this field. The demographic criteria may be extended with up-to-date information on contacts’ behaviours: visits on websites, opening of emails, downloaded files etc. In the example above we see how iPresso Marketing Automation allows to distinguish a group of contacts characterized by demographic traits (job position, city) and appropriate behaviors (opened email, downloaded file). 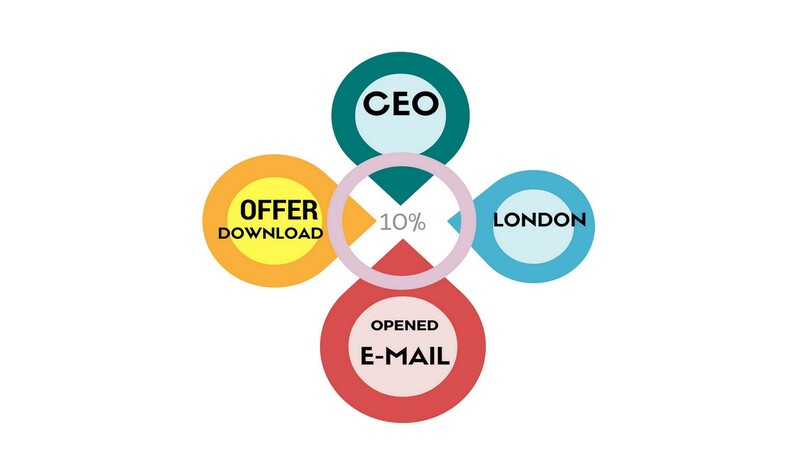 This kind of segmentation allows marketers to tailor their content appropriately. Such a segment may be also e.g. exported into a .csv file or tagged in the system and in this way handed over to consultants who will contact those leads by phone. Such a segment may also be frozen in the system. This means that marketers may keep the group just as it was at the moment when the segmentation was carried out, even if the traits of some of the members of the group change. This option may be used when we want to communicate e.g. with people who lived in a given city at some exact moment. A segment may also be refreshed by the system at a selected intervals. This allows the system to check e.g. every seven days if there are any new leads that meet the criteria specified in the segment. Such a dynamic segmentation allows marketers to carry out targeted actions in regard to customers who currently meet all the necessary criteria.